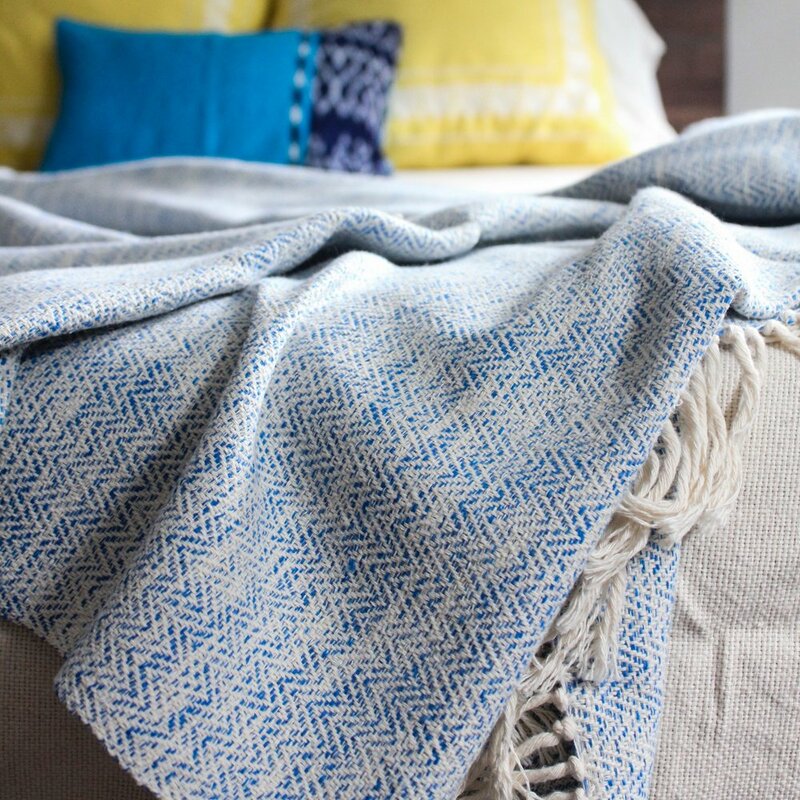 Part of Living Thread Co.'s mission is to not only connect all of our customers to beautifully handwoven products but also to enable our artisans to continue their passion of weaving. Each purchase you make of our handwoven products impacts small scale artisans - providing them access to raw materials, microcredit, income, and training. More than this, with each purchase you are providing opportunity for personal creativity, purpose, pride and helping us to keep alive ancient artisan traditions. We asked our artisans how working with Living Threads Co. has impacted them, as well as what the biggest change in their lives has been as a result of that partnership with Living Threads Co.
Take it from our partner ARTISANS. "Our work with Living Threads Co, allows us to have improvements in our standard of living, our livelihood and work is based out of our homes, and we have gotten to meet many people. Many people have also gotten to know and enjoy our work and products. LTCo. has helped us by providing loans to purchase raw materials." "I discovered my capacity to create beautiful pieces, develop self-esteem, and improve my financial stability. LTCo. has helped increase orders, given us zero interest loans and we have sales in the U.S."
"I now have a larger income and can purchase raw materials through the LTCo. microcredit program. Living Threads Co. has helped us to progress and maintain access to the market"
"I am a widow and I survive on what I earn through weaving. Thanks to this project (Living Threads Co.) us women feel proud of the work we consistently have. 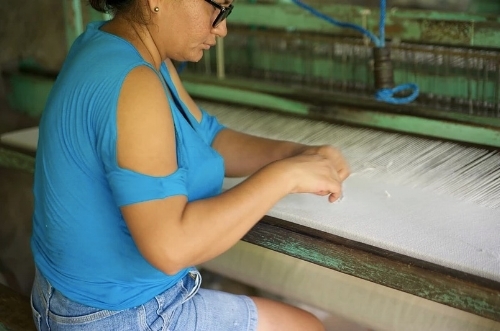 It is hard for women to find work in Guatemala. Through weaving and our partnership with Living Threads Co. we can now buy a pair of shoes and we can think about ourselves. Thank you Amanda and the people who buy our products. Thank you also because with your support we are able to realize the dreams of many children. LTCo. allows me to have a security in what I do." Founder Amanda working with our artisans in Nicaragua on finishings. Stories from our artisans and early access to new products.